At the point of doing doctor shopping means that you are exhausted with the drug or alcohol addiction. It has probably made you do the worst things that you hardly thought you were capable of doing. It is also highly possible that you have hurt so many people, starting with your family, through your irresponsible behavior while high or when desperate to get high. Additionally, you may have tried quitting the consumption of that substance that has its claws in you, but ended up relapsing over and over again. Therefore, you have realized that only an addiction doctor that is certified and good at his or her job can help you put your life back in order. However, despite this will to be better, you still have no clue about where to start your search for that doctor. It is even possible that you do not know what he or she should do to help you. This article will help you understand what you are about to get involved in and how to get the best doctor to treat your addiction. The treatment of addiction requires specialization since it highly determines the future of a drug or alcohol addict. Therefore, addiction medicine entails the medical specialty that deals with such specialization. This specialty is known to cross multiple areas since addiction has multiple aspects such as mental health counseling, psychology and psychiatry. Addiction medicine also entails multiple processes that you must undergo for you to recovery completely. These processes include detoxification, harm reduction, individual and group therapies, rehabilitation, withdrawal symptoms treatment as well as long term therapies, among others. Therefore, the very first tip in searching for your doctor is he or she must have specialized on addiction medicine, whereby he or she focuses on addiction disease. Additionally, during his or her training there must have been special study and training regarding prevention and treatment of drug addiction. From the above description of addiction medicine it is obvious that the doctor you need must have specialized skills that he or she will use to help. However, these specialists fall into two categories; those are both useful in your recovery. They include addiction psychiatrists and addiction medicine physicians. Therefore, it is highly advisable to not only look for one doctor. You should seek two doctors, a medicine physician and psychiatrist, so that they can both treat your mind and body. After all, you could be suffering from mental health problems that you don’t know about. If you only receive treatment for your body and exclude your mind’s status, you are likely to relapse even after years when you actually think that you are very fine. What’s more, an addiction medicine physician cannot treat your mind as perfectly as a psychiatrist can since it is not his or her specialty. Therefore, you need both at your disposal for complete healing to take place. The best addiction specialists are recognizable as they demonstrate their requisite skills and knowledge to ensure the provision of intervention, prevention, screening and treatment of substance abuse and addiction, through their education, examination and experience. Therefore, they are also capable of recognizing and treating physical and psychiatric complication caused by drug addiction. The American Board of Preventive Medicine believes that addiction medicine is all about preventing, evaluating, making diagnosis, treating and ensuring the recovery of people suffering from drug addiction. That is not all; the specialty also caters for persons suffering from substance abuse related health issues. It further focuses on people showing unhealthy misuse of addictive substances such as alcohol, licit and illicit drugs, and nicotine and prescription medication. The specialty goes a step further to help the affected family members, since their functioning and health is disrupted by their loved ones addiction to substances. Therefore, the doctors that you choose must have the capability to do all the above. Identifying these physicians that are fully qualified to offer the best services is quite a heft task. However, you can begin by analyzing several things, which accompany their qualifications. The following are among the things you should look out for. Your preferred doctor must hold a current Doctor of Medicine (M.D) or Doctor of Osteopathic Medicine (D.O) license. He or she should recognize and make diagnosis of an addiction as a primary brain sickness. This should be the case regardless of the behavior or substance involved. Additionally, he or she should differentiate whatever problem is present from other issues relating to seeking of relief and reward. He or she must possess sufficient communication skills as well as knowledge to enable the proper prescription of the full range of treatments in the right levels of patient care. He or she should be able to indulge your family or significant others in these discussions. Through the screening skills, he or she must identify the unhealthy or risky reward use. He or she should perform brief interventions by instructing other health professionals regarding screening techniques, brief intervention and treatment referral. The doctor should demonstrate an attitude filled with positivity, empathy and hope towards you as the patient, as well as towards your significant others and family members. This physician should be able to motivate you, your family and your significant others to enter into the right treatment for your needs. He or she should also manage to convince you to stay in treatment for the required time. Your doctor should be in a position to recognize, manage and have access to the appropriate consultation to address any psychiatric or medical co-occuring problems. Your preferred physician must utilize his skills well enough to recognize and manage withdrawal symptoms appropriately. He or she should have an understanding of the multiple techniques used in the addiction field by other disciplines such as counseling, intervention, group therapy and mutual help groups. He or she should also have an understanding regarding the drug testing technology useful in the monitoring and diagnosis of addictive disease treatment. This includes the multiple matrices to be tested and the limits as well as strengths of the technologies of screening and confirmation. The physician must have adequate knowledge on the natural history, typology and neurobiology of drug addiction. He or she should also be well aware of the social, external reward-based and economic factor that enhances its development and the best pharmacotherapy in addicted persons. This should be inclusive of those with psychiatric disorders and comorbid medical disorders. Your doctor should understand and use his or her state’s monitoring program for prescription drugs appropriately. As you find your preferred doctor, you may find one that possesses all the above 10 qualifications. However, this is not enough to make your conclusion about your choice. It is advisable to see evidence regarding his or her qualifications so that you can be convinced that he or she acquired the drug addiction medicine skills though the required methodologies. Addiction Medicine Certificate of Added Qualification conferred by the American Osteopathic Association. Completion of an accredited fellowship or residency in Addiction Psychiatry or Addiction Medicine. 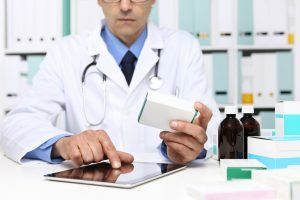 You could be wondering why all the above evidence and identification details are so important in finding the appropriate doctor to treat your addiction. Actually, you may probably think that any doctor can treat your addiction problem, which is wrong thinking because not all physicians know what to do with patients that suffer from these issues. The Columbia University Center on Addiction and Substance Abuse believes that drug addiction is quite prevalent and has a huge impact, due to its connection to about seventy conditions and diseases. The situation becomes worse because a majority of the qualified doctors, amounting to about 985,375, can treat these conditions but cannot treat the addiction. Only 1,200 physicians have training on addiction medicine, which makes them scarce. Therefore, as you conduct your search, you are likely to meet multiple doctors that can treat your illnesses caused by addiction. However, treating the actual addiction becomes a problem since they have no training on the subject. The doctor you wish to secure for your treatment must be in a good position to delegate all his duties throughout the treatment process. By now, you understand that inpatient treatment is quite effective because you will be monitored on a 24 hour basis each and every day. Since you will sacrifice your time and finances to acquire the proper medication that you desire, you need to find a doctor that delegates his duties properly at all the treatment stages. The following is a chronologic order of the duties that a good addiction doctor should carry out from the beginning of treatment till the end. Your assessment should not only take place in the initial stage as you are getting admitted to a rehab facility. It should be ongoing process so that your doctor can have knowledge of any changes taking place in your body. Therefore, the addiction specialist physician that you are looking for should be able to conduct an appropriate assessment on his addiction patients, which includes data from physical examinations, clinical interviews, and diagnostic procedures. All these details are to ensure patient safety, optimal clinical outcomes, appropriate healthcare resources stewardship and treatment adherence. A good addiction specialist physician ensures that his patients undergo through an initial multi-component and comprehensive assessment. He or she can do it or ensure a qualified professional within the system does it. The relevant diagnostic procedures include imaging and laboratory baseline studies and structured rating scales. The doctor should collect data from these and monitor indicators periodically since it is clinically appropriate. The specialist should be in a position to make diagnosis after the assimilation of all the above data, which will guide in the provision of care to you as his patient. Depending on the extent of your substance abuse, you are prone to experience withdrawal symptoms during the detoxification period. Therefore, it is crucial to have a doctor who understands his or her duties at this level. Your preferred addiction specialist physician must acknowledge that withdrawal management is not enough to treat drug addiction. Additionally, it is not the same in all classes of drugs. Your doctor should be in a position to understand the severity of your symptomatology. He or she can attain this understanding through making assessments regarding your need for withdrawal management. He or she should also know the intensity you require for withdrawal management. Moreover, the treatment environment matters a lot, so he or she must know how to determine the appropriate treatment environment for your well being. All these are dependent upon the drugs you abused and the eventual treatment modality. Conducting withdrawal management assessment is not all that your addiction doctor must do since his or her attention is still required in the interventions themselves. He or she should be in the position to provide this attention through the utilization of objective and validated measurements of withdrawal and intoxication. Your doctor is supposed to be careful in terms of the potential psychiatric and general medical complications that you could develop while undergoing withdrawal management. For future reference and analysis of your progress, your preferred addiction specialist physician should document all the medical decisions that he or she during this process. This also includes the right treatment planning, which involves the level of care. 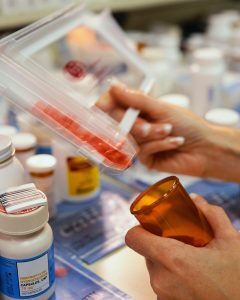 Indicating the withdrawal management medications allows the doctor to utilize an evidence-supported approach in the selection of administration route, dosages and pharmacological agents. Medical interventions must be accompanied by psychosocial interventions that should be validated and instituted concurrently. This process must be overseen by your preferred addiction doctor, who is also responsible for supervising your ongoing treatment associated with your substance use disorder. A good addiction doctor underwent through training that made him or her understand that substance use disorder brings about multiple complications and consequences. Therefore, the doctor that you are looking for should have ample knowledge regarding the psychological, physical and social complications and consequences of drug addiction. Additionally, he or she must acknowledge that influential social networks such as families are quite significant to a patient’s treatment. Therefore, the best addiction doctors play a very significant role in the treatment plan development, which mostly involves social support networks, referring providers and clinical decision documentation. A good addiction specialist physician plays an important role in the coordination of the medical care provided to an addiction patient. Therefore, you should look out for one that is good at coordinating and integrating addiction treatment as well as the associated problems. This also involves skills in negotiations regarding other care providers that are very relevant in your wellness. Despite that the doctor should be the primary care provider, he or she should be good at managing any other care providers at your disposal, since he or she is the sole decision maker. As the patient, it is important to be aware of the therapeutic alternatives that you can have access to during your treatment. Therefore, the best doctor to secure for your treatment should be able to communicate all the clinically available pharmacological and psychosocial therapies. This approach to your treatment gives you the opportunity to collaborate in the clinical decision making processes. During these discussions, your doctor should present the merits and demerits of the available addiction medication. Additionally, this information should be accompanied by other data such as potential for diversion, availability and cost. In case the pharmacotherapies are part of you treatment, it is advisable to choose a doctor that will value your decision in choosing the treatment setting. Additionally, this physician should ensure the administration of the appropriate dosage and in the proper duration. He or should further consider aspects like adherence and that the psychosocial therapies occur entirely in the process of treatment. There could be multiple risks associated with your substance use disorder. Therefore, your preferred physician should not only make evaluations regarding those risks but also ensure that he or she administers medication that caters for such risks. Addressing medical and psychiatric comorbidities sequentially is not the best approach. Hence, it is highly advisable that you acquire an addiction specialist that does so concurrently. The social support networks play an important role in your recovery. Therefore, the appropriate doctor must have this in mind and thus make the proper arrangements to ensure that your family acquires the right support services. Quality care assurance- which is achievable through adequate supervision. This means that the doctor you choose should be able to be thorough while supervising these secondary care providers so that he or she can ensure that treatment is appropriately provided. Determining clinical progress-which is achievable through regular meetings to determine the achievement of goals. If the goals are being achieved as anticipated, the transition to other treatment services should be smooth and immediate according to the recovery focused strategies. On the other hand, if achieving the goals has become almost impossible or too difficult, then it is advisable to acquire an addiction doctor that knows the value of conducting treatment plan revision. This may include reassessment of the diagnosis, treatment goals, intensity and modalities. At this point inappropriate termination of the care is not an option. Instead, treatment plans should be revised and better plans established. Collaborative care highly contributes to high-quality care. Therefore, it is crucial to get a specialist that understands this aspect, so that he or she can also ensure that confidentiality and privacy laws are not ignored. In the coordination of confidentiality and treatment, the preferred doctor should be able to carry out multiple duties like adequate communication with other providers of treatment, coordination of the addiction care and adjustment of treatment especially if your psychological and physical health undergo major changes. This preferred doctor should also be in a position to assure quality in transitions and share information as required while protecting your privacy as well. As soon as you have attained stable sobriety, you may think that your treatment is complete. However, in order to prevent a relapse, it is important that you acquire care management even if you have left the facility. A good physician will ensure this though regular meetings whereby you can talk about your current challenges, especially those that can trigger a relapse. 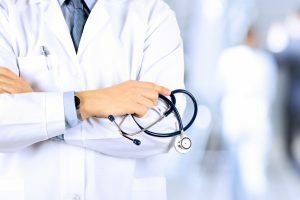 In conclusion, acquiring the right doctor to help with your recovery can be a tricky path because you need one that will make you a priority even if he or she is treating other addiction patients. Hence, you must conduct a thorough research since getting a good doctor that provides unique services is not a usual occurrence. Furthermore, the available doctors are rare to find in the market since they are few. Regardless of your challenges, do not settle for any that has obvious shortcomings in their tasks.